The Natura EP by upcoming producer talent Jasper Herbrink represents his broad vision of today’s trance music in its widest range. With BPM’s ranging from 136 to 145 and intensity varying from more quite modest to “full force” this EP can best be seen as a versatile mini compilation. It starts off in a smooth, deep way (Naturans), followed by a tranquilizing break and breath taking climax (Artis Magistra) to be closed down with a more dark , stronger and power full track (Non Contristatur). All tracks in this EP are a tribute to nature around us, and ourselves as we are part of it. Each title represents an old Latin phrase that teaches us life and living. 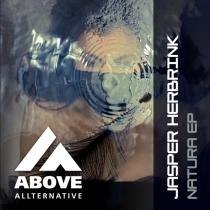 In Natura Naturans or freely translated “Nature doing what nature does” we hear the unstoppable momentum of nature being reflected by a consistent and strong bass line that forms the foundation of this track. Like endlessly growing branches and leaves the various synth lines and effects build up the track to hold its pace at an unexpected peace full spot in the woods. This is where the modest melody starts shining its rays of light onto the rest of the natural mix. Natura Artis Magistra can be translated as “Nature is the teacher of art and science”. Without any excessive detours or fanciness, this track immediately brings you to a calm and melancholic breakdown where piano and pads set the atmosphere of the track. After some moments the essence of the track becomes clear with an uplifting melody that fuses all elements in this track together. With the true teacher of art and science in the back of your mind this track definitely has something to teach you! Nature is not sentimental is a free translation of this old Latin phrase and nor is this track. After a short intro, a dirty aggressive acid lead picks up all attention, and sets the tone as it is later accompanied by an old-school break-beat. Without any mercy a wide spaced lead takes over and gives you a short introduction about what is to come next. While the main melody is being expressed by different sounds, all darker parts of nature seems to take part in the dusked world the track is all about.